A new trail, with an interesting past. 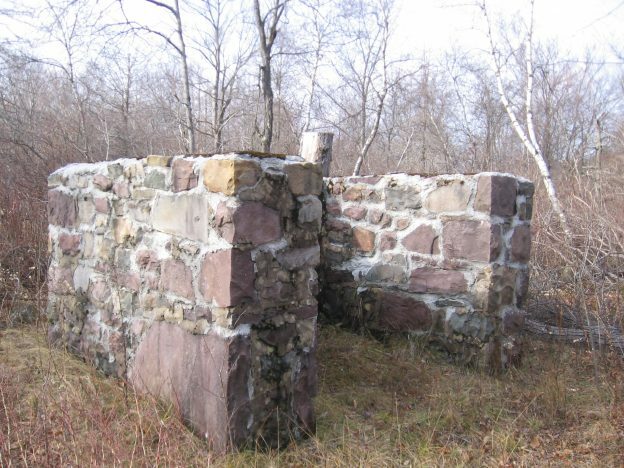 Back in the year 1912, the area that comprises what is now Gouldsboro State Park, Tobyhanna State Park, the adjoining State Game Lands 127 and the Tobyhanna Army Depot were all part of the Tobyhanna Military Reservation. Early on, this facility was used for a tank and ambulance corps training center as well as artillery training. 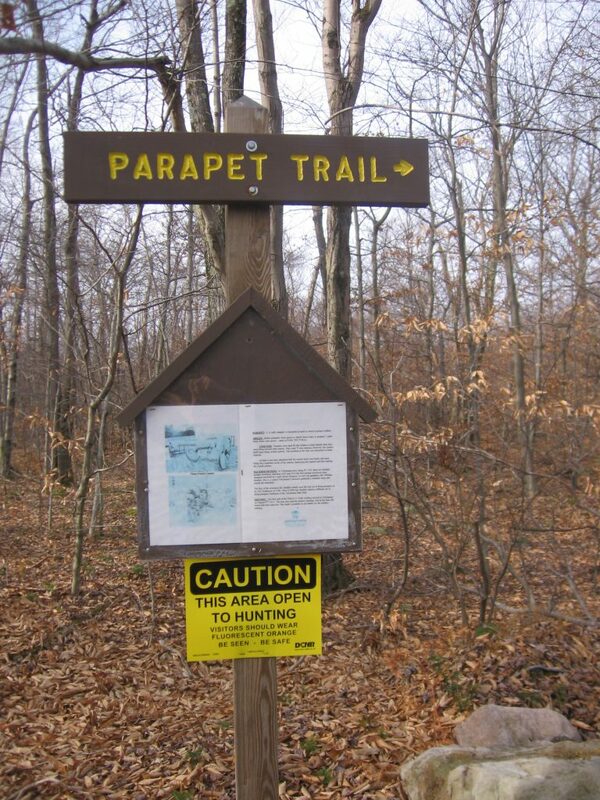 In 1949 the land that is now state park and state game lands was transferred over to the state of Pennsylvania. 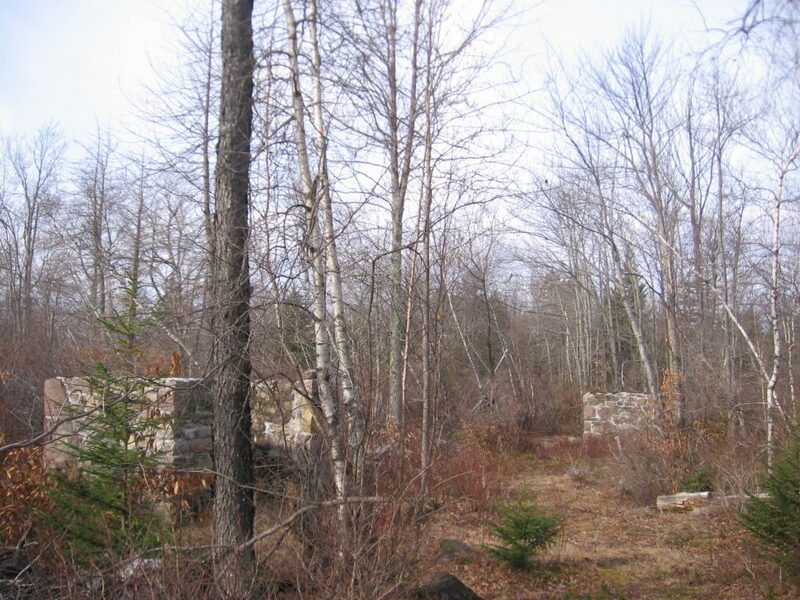 The remaining area of federal government land became what is now the Tobyhanna Army Depot. There are some remnants of the old artillery sites still visible today. 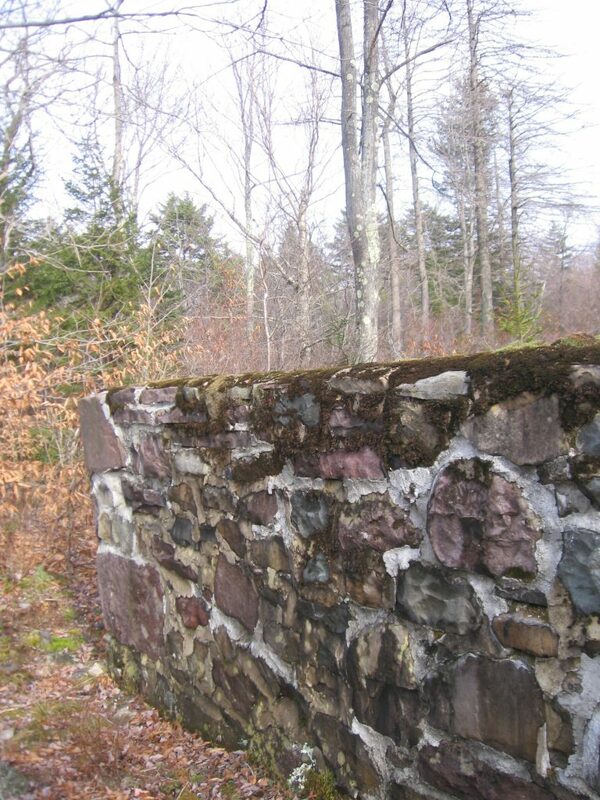 The Parapet Trail in Tobyhanna State Park will lead you to get a first hand view of these pieces of history. The parapets are rock structures used by the military to protect soldiers while firing artillery. 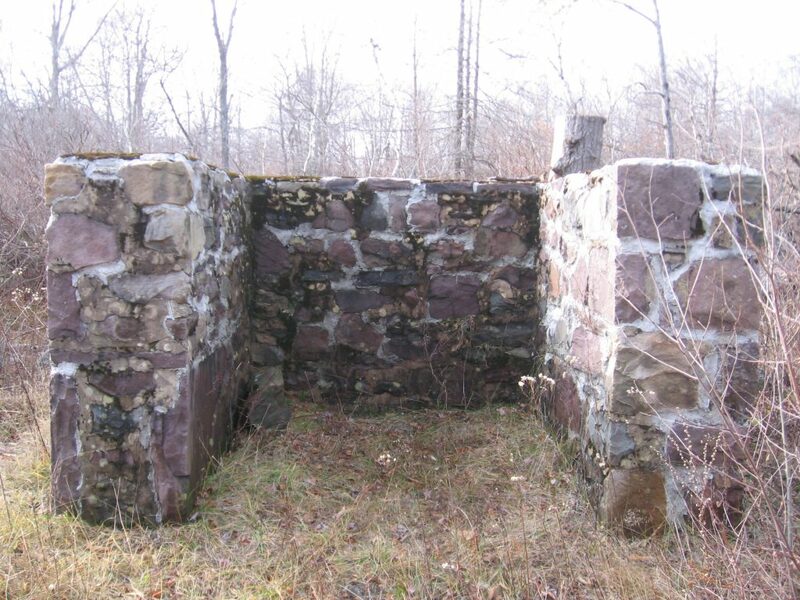 According to a sign at the trailhead, the parapets have been restored by Mr. William Beehler. He is the grandson of the original builder of the structures, a man named Simpson. The first artillery unit arrived in 1912. Back then, much of the forest had been clear cut. This allowed the soldiers to see better distances while training with artillery. The Parapet trail is only a few hundred yards long at most. 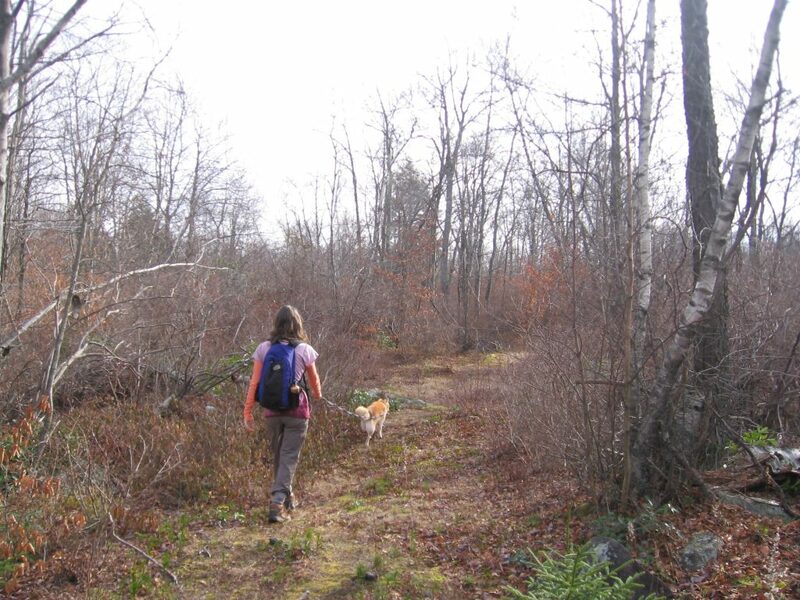 It would make a nice short destination for someone looking for a quick retreat into the forest without a long or difficult hike. The trailhead is east of the main entrance of Tobyhanna State Park on SR 423. If you are driving east from the park entrance (toward SR 196) the trailhead is just past the power lines on the left. There is a small area to park and a trailhead sign with information. For maps of Tobyhanna State Park click here. A section of the map from Tobyhanna State Park that includes the Parapet Trail. The Parapet Trailhead on SR 423. The trail is wide and easily found. A view of the back of one of the parapets. A closer view of one of the sides of a parapet gives a glimpse of some masonry restoration. Another view of a parapet. A view of two parapets from the trail. They are in great shape after 100 years! This entry was posted in Pennsylvania Hikes and tagged Hiking, History, Parapet Trail, Tobyhanna State Park on December 28, 2016 by jcammerota.